cmollekopf closed T8090: Gpg key import as Resolved. cmollekopf edited projects for T8090: Gpg key import, added: Kube: Junior Jobs; removed Kube. cmollekopf triaged T8090: Gpg key import as Normal priority. cmollekopf triaged T8089: Signature support in composer as Normal priority. 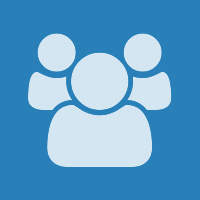 cmollekopf added a comment to T6630: fix documentation. I updated the links at least so they point somewhere. Improvements for the docs are very welcome though (the documentation sources are in the git repository as well). goddard created T6630: fix documentation. cmollekopf created T5011: Show folder icons. cmollekopf moved T4242: VCard resource from Milestone: Showcase implementation of email client to Enhancements on the Sink board. cmollekopf added a project to T4242: VCard resource: Kube: Junior Jobs. mbohlender created Kube: Junior Jobs.